Our Client wanted to utilize an area at the bottom of his garden which also had access from the side road. 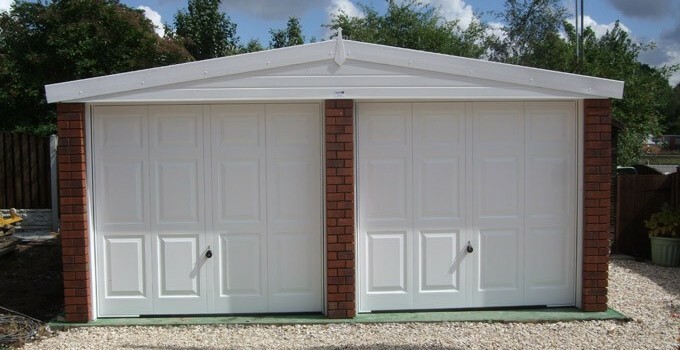 After various discussions a Concrete Sectional Garage from our Premier range was chosen. The Large Apex Garage although 20′ wide by 24′ long was still within the height restriction of 2.5m for Permitted Development. 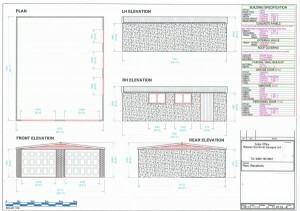 However, due to the overall floor area Elevation Plans were drawn up to be presented to the local Council. The new concrete base was laid together with the new brick paved drive before delivery of the new garage. 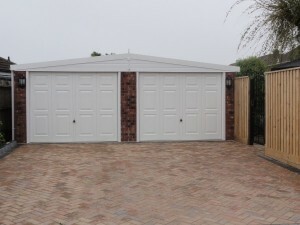 The impressive Premier Concrete Sectional Garage with coloured roof, UPVC fascias and real brick front posts was installed together with electrically operated 8′ wide Georgian up and over doors. Some months later we have spoken with our Client who informs us that he has had many favourable comments made by passing local residents and neighbours.